At the end of a year it is always a good time to re-evaluate the things we are doing and how to begin to do things better — whether it is for our business, family, friends, or health. As we roll into the New Year the re-evaluation often times means we make resolutions to do things differently to help us improve. Is it time to begin to eat more healthy? Do you need to shed some unwanted pounds? In combination with a diet that includes good quality fruits and vegetables (organic if possible), along with other good quality foods eaten in moderation, if you are struggling to lose weight, Acupuncture can help. Some time ago we posted an article about how Acupuncture can help with weight loss. Check out this link for more information. Maybe smoking is is something on your New Year’s resolution list as something you want to give up. Have you tried in the past to give up smoking and failed? Or is this the first time you have considered giving up smoking and becoming more health oriented? Either way, Acupuncture can help you kick the habit. Check out an article we wrote in the past about how Acupuncture can help to give up smoking. These are only a couple of the ways Traditional Chinese Medicine and Acupuncture can help you with health issues and any New Year’s resolutions you may have made. Give us a call to set up an appointment. 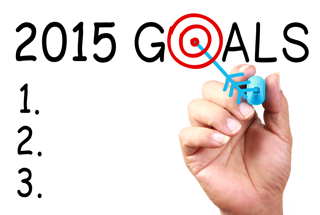 Let us help you this year with your health goals for the New Year.